This road is now called Gaol Rd (or sometimes Gaol Rd West) but more than a hundred years ago it had a different name: Slaughterhouse Rd. You might be wondering if this is called Slaughterhouse road, then where was the slaughterhouse? The answer will come at the end of this trail. Since 1837, when Colonel Light laid out his plan for Park Lands, Park 27 has lost huge tracts of land due to the construction of railways and more recently the new Royal Adelaide Hospital and University buildings. As the city’s population ballooned, the sprawling tangle of railway lines inevitably grew as the Adelaide Station terminus required more feeder lines. Looking left of the RAH you will be able to see the Western Yard Entrance Signal Cabin, with the roof of Adelaide Oval behind it. This signal cabin was erected in 1915 and was made redundant in the 1980s when a new rail control centre was built. It is now state heritage listed. At this point we are only about 150 metres from the River as the crow flies. The City Council's long-term strategy is to provide a walkway connecting the Gaol entrance to the River. However the main problem is that there are seven railway lines in between this place and the river - it would require a costly series of tunnels or bridges to navigate all seven lines. 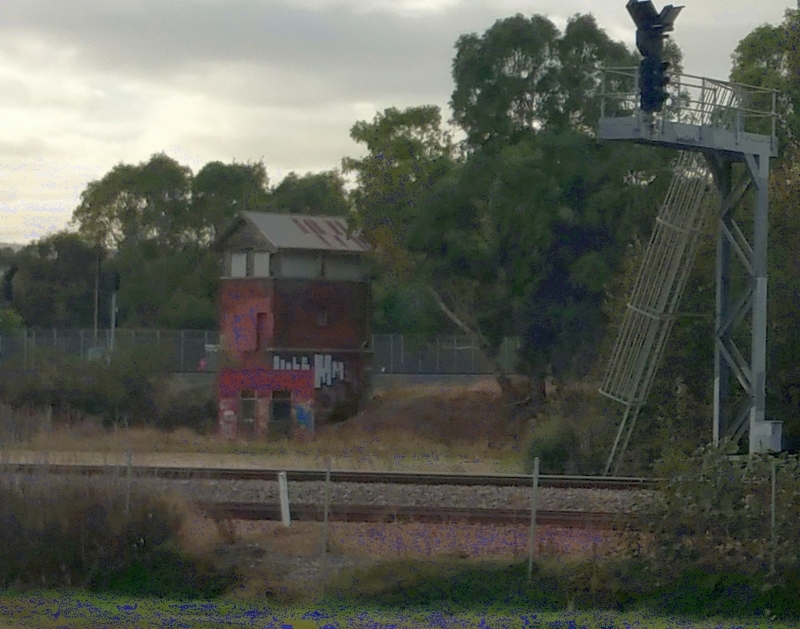 Funding permitting, it may be realised in the future..
Adelaide Park Lands Preservation Association, “Slaughterhouse road and view of railways, historic signal cabin,” Adelaide City Explorer, accessed April 26, 2019, https://adelaidecityexplorer.com.au/items/show/351.